We kicked off our information about Windows 8.1 Update one with new taskbar features coming to Windows Store apps, namely the Jumplists and media controls. Today, I want to share with you another neat feature I uncovered. 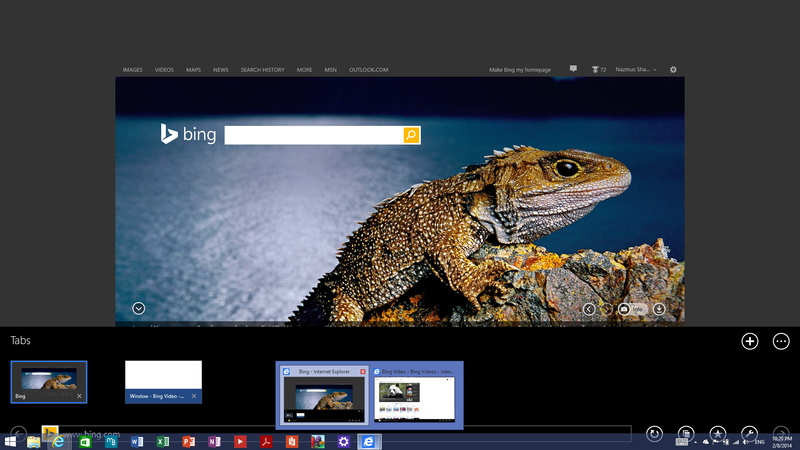 Windows Store (metro) applications running in multiple Windows show up in the taskbar as multiple windows. This behavior is the same in Desktop Applications since Windows 7. It is nice to see that it is being included in Windows Store applications. Here’s an example of this in action. In the figure below, notice that I am running the modern (metro) version of Internet Explorer. Also notice that I have two instances of the modern application running, and those two instances are being shown as separate thumbnails within the same application icon on the taskbar. Good stuff! Do you agree? Previous Previous post: I Got Lumia Black Update for my AT&T Nokai Lumia 520!